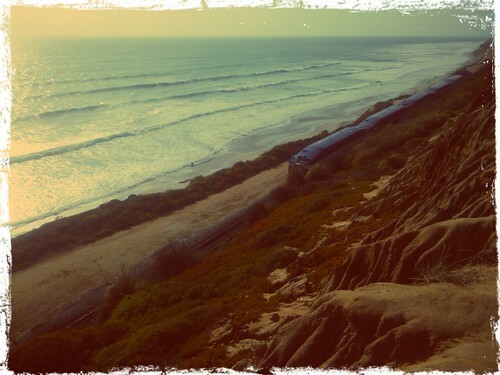 Del Mar, originally uploaded by truublooo*. Walking along this side of the tracks, trying to get to the other side of the tracks. BTW, the train is coming, not going. There is no locomotive on the front end of the train. Hmmm, does that still make it the front end?